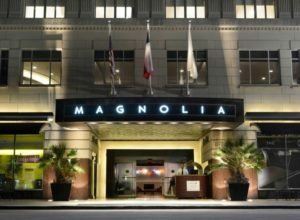 The convenience of a hotel wedding is a huge plus for many engaged Houston couples. 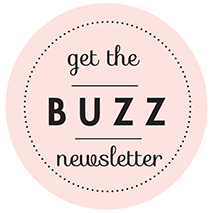 Hosting your various pre-wedding celebrations, ceremony, reception, and accommodations at one venue means no traffic, inclement weather is not an issue, and large weddings are handled professionally and with ease. 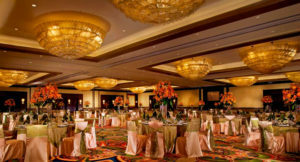 Longtime Weddings in Houston partner Houston Marriott North ticks all the boxes, with the right ballroom space for any size hotel wedding or celebration and a team of seasoned event professionals on hand. 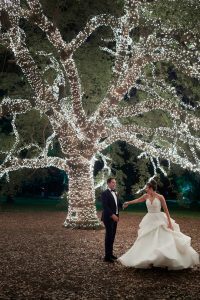 The largest wedding ballroom on the property, the Texas Ballroom, can host up to 800 guests, while smaller rooms can accommodate small hotel weddings and intimate events, including guest welcome parties, wedding receptions, engagement and anniversary parties. 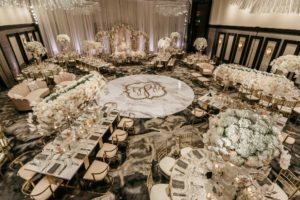 Houston Marriott North’s modern, neutral spaces can be decorated to suit any taste… use simple arrangements and lighting that work with the decor, or bring in lounge furniture, pipe and drape, lighting and a dance floor, to truly make the space yours. 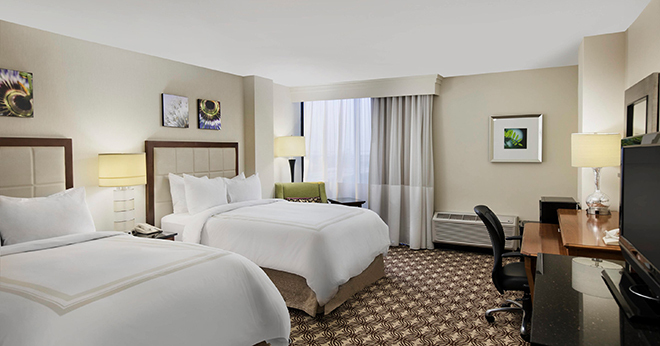 For couples hosting lost of out-of-town guests, convenient room blocks with views of the Bayou City skyline can be reserved with online booking tools. 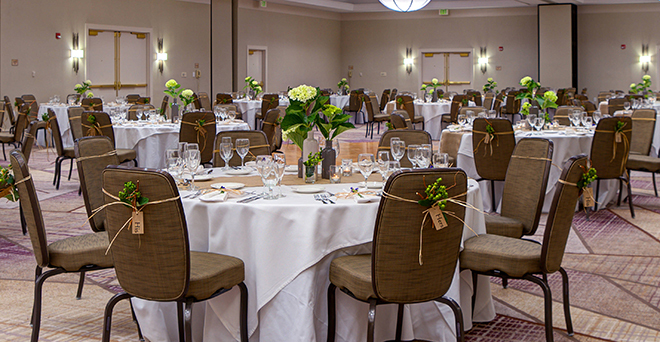 Modern, well-appointed accommodations ensure out-of-town wedding guests will be comfortable and can move from the reception to their rooms with ease. Amenities include on-site dining, an indoor-outdoor pool, game room and fitness center. Marriott offers exemplary customer service to each and every engaged couple. Marriott Certified Wedding Planners are qualified to coordinate weddings of all types, including South Asian weddings and military weddings. 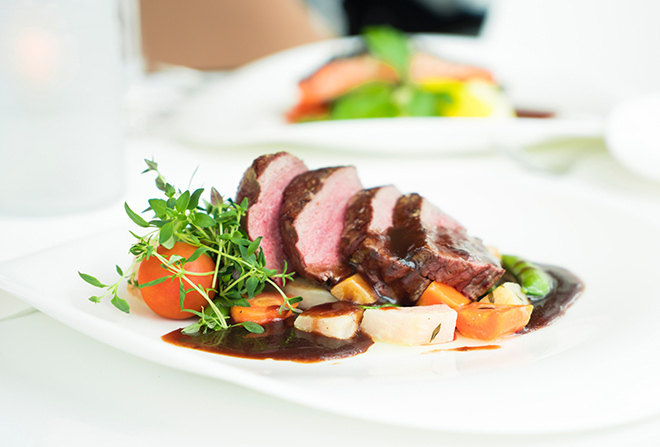 From setting a wedding budget to choosing a catering menu, the special events team will assist each couple in their wedding planning needs from start to finish. 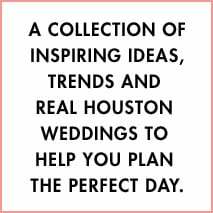 Houston Marriott North couples can allow the the professionals to handle the details, and enjoy the ease and convenience of a hotel wedding.